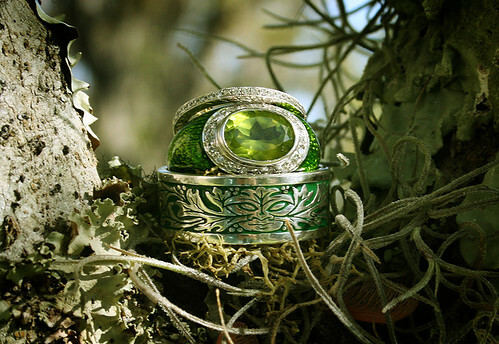 Michael's Greenman ring made by Bellchamber goldsmiths. They're awesome beyond words. My ring is a vintage enameled white gold ring with a peridot center stone surrounded by diamonds. Photo taken by the hubster, Michael Judd.